The galli is very accurate, but i think that if you remodel the T-rex from the game it wouldnt be able to close it's eyes when he sleeps i think. The eyelids aren't a problem; the way the game does that is it assigns the eyelid bone to one edge above the eye and pulls it down. It's very easy to do. Just saw the models for the mamenchi and the compsognathus, and the genetic engineering of these creatures based on the original trilogy is really working for them. In other notes, i think if the mamenchi and the apato had the ability to trail smack their predators the way that Stegosaurs do, then I say one can add authenticity to the creatures because that’s what some of these sauropods did in real life. In other notes, i think if the mamenchi and the apato had the ability to trail smack their predators the way that Stegosaurs do, then I say one can add authenticity to the creatures because that’s what some of these sauropods did in real life. You could give them the stego, anky or kentro tclass but I think that would make them death duel with the rex (which isn't ideal). I could try it with the kentro tclass and see what happens. On a side note, does anyone know a sure way to make predators not hunt certain dinosaurs? I want large carnivores to not target small herbivores (it's silly that a rex would waste its energy chasing down some tiny morsel). This is also necessary for pteranodons (which are being highly considered for the mod) since if they're attacked while in the air they'll teleport. I haven't tried it myself, so I have no idea what the results will be. This is closely based off of how I got large carnivores to ignore Compies. Sidenote: Moddb has a lot of TBD JPOG mods going on right now since the last time I checked over a year ago. That's cool. These specific inputs do not work after having just tried it. The only way to get carnivores to ignore a dinosaur is to put both organic and meat values to 0. Of course, then all carnivores avoid them, not just large ones. If the perception outputs actually worked then we could manipulate which dinosaurs a carnivore would go for (thus, you could create an kind of ecosystem). Size is also a way to get dinosaurs to ignore something; if you put size to 1 then carnivores will not see it as food (like the brachio). Edit: Here's a theory; if we could find a way to not make carnivores panic at something larger than themselves, then you might be able to do this by essetially making every small dinosaur's size above the large carnivores (essentially, you'd have to re balance everything). Of course it didn't work, that would've been way too easy for JPOG. Yeah, the perception outputs have always bothered me. I don't think that they actually function as anything really. At least nothing noticeable that I've seen. Changing something like large carnivore threat to 0.0 or 1.0 doesn't seem to have any effect. However, I've noticed that some of the .nwt lines seem to correspond to the perception output lines such as [Social] and [Territory]. Anyway, seems that editing the .nwt values can somewhat remedy how dinos recognize each other. Of course, that is all blind trial and error and good luck to anyone that would like a try at diving into that and all of the testing with everything that comes with each edited value. I've been in there, and got some things to work out for me (Compy perceived recognition and T.rex pairs), but it pretty much sapped me of having the motivation to load the game up for a long while now. I saw a comment on the FCM revived moddb page about Pteranodons. Is it true that Pteranodons will be in the mod ? It's something I really want in the mod and I'm going to try my best to make it work. As long as they aren't able to be attacked you can have them fly high above the ground. You can turn the walk and run animations into flying ones. For drinking and sleeping they can fly down to the ground. They might not be able to hunt or eat, but it'd be more functional than reskinning the birds. I also would need to make an aviary type of fence which should theoretically be doable. Most likely they'd be the JP3 versions for now and it'll stand as a proof of concept potentially opening the door for more. It'd be cool if JP 'Rexy' was noticeably larger than the JP3 rex (RIP). A post from a while back said that there's accurate heights, but lengths are the problem due to universal scaling of the models. I guess that you'd have to make each t.rex model from scratch to get film accurate proportions. The models are actually being made from scratch, but the universal scaling isn't an issue now since these models aren't attached to the animations yet. This means the dimensions can be more easily edited. Our dead homie is going to be smaller since the JP3 size chart says its 13 feet tall and 37 feet long versus the 15-16 feet and 40 something feet of the others. That's very cool. I hope that they can retain the exact JPOG rex animations. I'm mesmerized by watching that thing walk around, particularly with how its tail moves in relation to whatever it's doing (like sometimes slightly flicking its tail when drinking). Blue Tongue must have had a 'no derp' rule there. Edit: Just seen that you're working on Ceratosaurus. 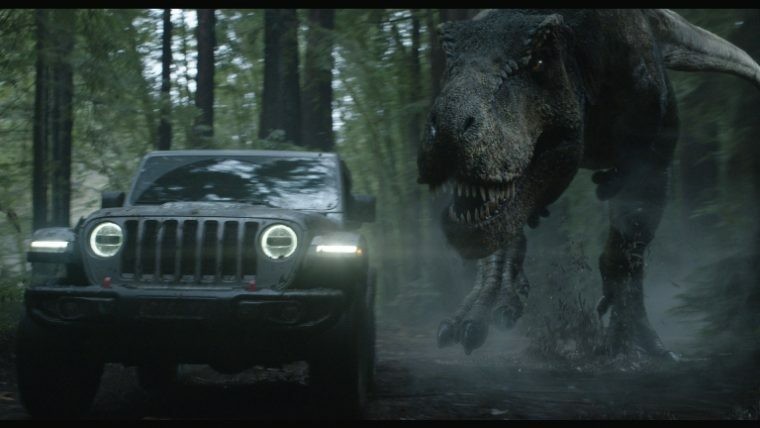 Will it be closer in size with its real life counterpart (JPOG size), or are you basing it off of that JP3 size chart? I don't think that the size chart did good with that (30 feet??? 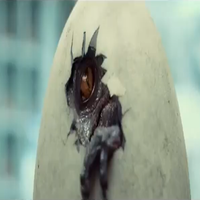 ), because the in-film Ceratosaurus didn't look that big. I think that something around JPOG size would be better. Oh yeah the animations will be preserved, the only thing I may need to do is mess with the weight painting and possibly fix postures if the transition isn't super smooth (for example like how the JPOG raptor holds its hands will not look good with actual fingers). Edit: the size chart states that it's 12 feet tall and 30 feet long. The size chart is accurate about everything else so it's only fair to assume that it's also correct for the cerato. Ofcourse, this does almost make it as large as the JP3 t.rex; perhaps I'll have to see how it looks in game. The JWE cerato is 10 feet tall and 30 feet long so maybe something like that might look better. However, the JPOG cerato is very undersized it's only maybe a foot taller than the human models. That JP3 size chart has always confused me, because the Trike and Steg make everything except for the Brach look small. As for the JPOG Cerato, regardless of what the size chart says, I'm glad that Blue Tongue ignored the chart. Comparing it to the human model in-game (hatchery view), the JPOG Cerato is actually quite close to real-life size (it appears to be about 21 ft. long if the visitor silhouette is 6 ft. tall). I don't know how equinox's program reads it as though. Anyway, that's just my own thoughts on the matter. You can do however you feel will work best for the mod.